Lower Thames Crossing Association (LTCA) is extremely disappointed, but not surprised at the Government’s decision to build a new Lower Thames Crossing east of Gravesend, and vows to fight on. It was clear from the outset that Highways England has already decided on the location before the consultation even took place last year. Despite the Transport Minister claiming that “Option A is included within the consultation and remains open for consideration”, Highways England has already published a document which clearly stated that “Location A will not be taken forward and therefore this option is not included in the public consultation”. 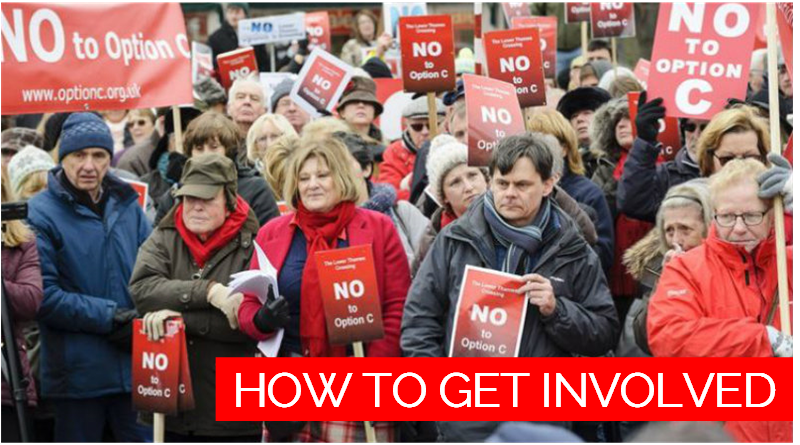 Consultees were only asked questions about variations of Option C – no other options were offered. Organisations representing developers, transport companies, and other businesses with vested interests have vigorously campaigned and lobbied for the only option offered to them. They didn’t care whether it was Route 2, Route 3, Route 4, ESL or WSL. All they were interested in was the fact that Option C opens up the regions for housing, development, growth (and more traffic). This is growth at any cost, and they will be rubbing their hands at the prospects for extra profits this presents them with. Highways England has duped the Government, motorists, road transport operators, and the people of Dartford. They have persuaded them that Option C is the panacea to all the problems at Dartford, when their own forecasts clearly show that traffic at Dartford will still be over capacity even after Option C is open, and the traffic restrictions and frequent stoppages to let petrol tankers through the tunnels will still continue. Road users and Kent residents will be horrified when they realise that the problems have not been resolved, and that the one-in-a-generation opportunity to finally complete the M25 and fix the problems at Dartford has been missed.Too late, the damage will have been done, and demands for a new bridge at Dartford to bypass the existing tunnels will inevitably follow. LTCA will now meet with local representatives and with its legal advisers to determine whether there is sufficient legal grounds for successfully challenging the decision. In the meantime, we will demand an urgent meeting with Highways England to hear what they propose to do to protect the environment and to find out what they intend to do to prevent minor roads and villages in the north Kent and south Essex regions from becoming rat-runs.